The gist: It’s a collection of vignettes, all set on a particular Halloween night. There’s a fun little comic-book montage at the beginning that lays it out rather well. It’s like a less corny version of New Year’s Eve, with a lot more blood. And candy! Also, the ragdoll kid’s name is Sam. You’ll learn to love him. What I “learned”: I think we take Halloween way too seriously in this country. And yet, we don’t take it seriously enough. This movie really focuses on the traditions behind Halloween, and the idea that consequences will come if we don’t adhere to them. That’s a rare thing nowadays. We fulfill traditions because they’re fun, but not because we believe there’s a real consequence to not fulfilling them. That makes it easy for traditions to fade into the background of our lives, and eventually lose meaning. 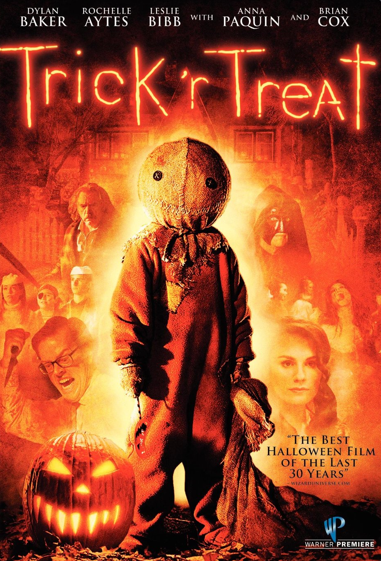 Trick ‘r Treat exists in a world where the other world really is crossing over into ours. It’s not just a legend. Unless you appease the spirits with candy and light pumpkins to keep the bad ones away, you’re pretty much a moving target for disaster. By disaster, I mean zombies chewing your face off for being a jerk to the weird girl with a bitchin’ array of carved pumpkins in front of her house. At that point, it’s your fault. See this movie if you like: Horror movies that aren’t trying to be serious. I loved this film to death, because it accepts the idea that a fair amount of the audience isn’t going to be scared. That’s not what it’s going for. Great Pumpkin wasn’t just trying to be a cartoon for kids to look at. It had weird cartoon sequences and excellent music. It’s the same idea. This movie is just a giant fun thing, celebrating Halloween and reveling in the imagery of Halloween. There’s blood and guts, but also ghosts made from sheets and dozens of candlelit pumpkins. I bet they ate buckets of Halloween candy over the time of filming, and got drunk on hard cider at the wrap party. Everyone in this movie seems to be having a really fun time. Avoid this movie if: You get squeamish at violence inflicted on children. 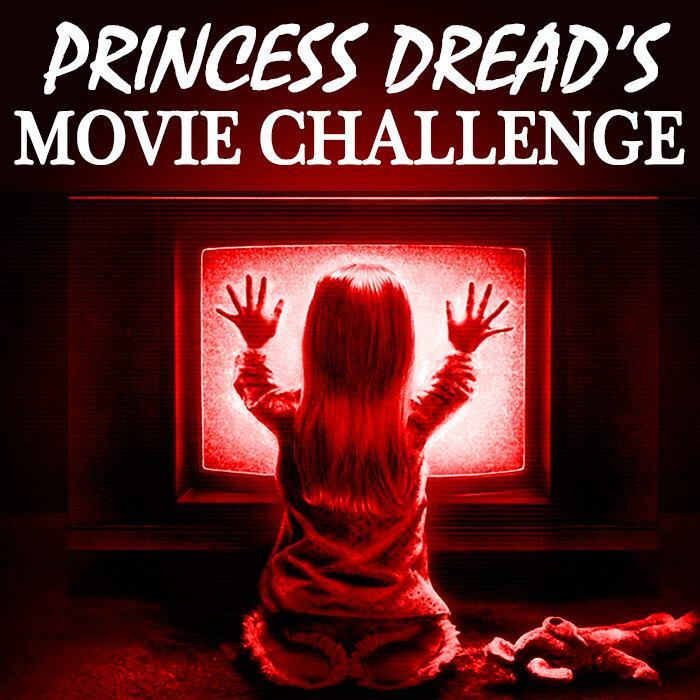 Most of it is off screen, but the child actors are so invested in their parts that you still fear for them viscerally. So if this is one horror aspect that you can’t handle very well, I suggest you stay away or proceed with heavy caution. Just looking out for those with specific horror triggers!